The Canadian hunting boots have earned the respect of expert guides and are best described as legendary hunting boots used by the best in the field. Made in the USA, the Canadian offers features such as GORE-TEX® lining, which provides the ultimate in breathable, waterproof protection. 600 grams Thinsulate™ Ultra insulation defends the wearer from cold, harsh conditions. 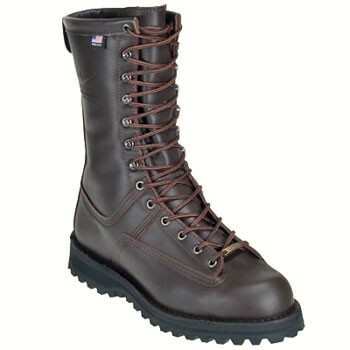 A full-grain leather upper combined with Danners stitchdown construction provide durability and longevity. The famous Danner Bob® outsole, ranked among the worlds best hunting outsoles, tracks steadily in the snow and mud while it continuously self-cleans.